A key function of deposit insurance is to provide a credible safety net for depositors which is beyond doubt, including in times of crisis. At the same time, deposit insurance, like any insurance scheme, raises moral hazard concerns. When depositors are protected by a supranational deposit insurance scheme, participating countries may be less strict with national banking policies. It is important to address these moral hazard concerns. However, current proposals for a European Deposit Insurance Scheme (EDIS) with national compartments to address moral hazard (e.g. Gros 2015, Bénassy-Quéré et al. 2018, Schnabel and Véron 2018) may defeat the purpose of the scheme. The idea of national compartments is that the first part of the loss is borne at the national level, only above a certain threshold are losses shared at the supranational level. The viability of particular national compartments may be questioned during a crisis and thereby worsen the crisis dynamics. A good deposit insurance should be a beacon of stability during a crisis, not a source of lingering doubts. In their seminal article, Diamond and Dybvig (1983) show that bank runs can happen in a fractional reserve banking system, whereby banks hold only a fraction of demand deposits in liquid funds and the remainder in illiquid loans. If rumours start about a bank’s quality of assets, depositors will run on the bank as they are served on a first come, first served basis. A credible deposit insurance scheme prevents banks runs, as depositors can rest assured that their deposit is guaranteed up to a certain amount. A deposit insurance scheme only works if it is beyond doubt for depositors. That is ultimately dependent on a credible fiscal backstop by the government (Schoenmaker 2018). Once the market starts to question a country’s capacity (not only the fiscal capacity but also the political willingness) to support its banking system and related safety nets, then a deposit flight is difficult to stop. We have witnessed that during the euro sovereign crisis, for example in the cases of Ireland, Portugal, and Spain. The same happened during the Great Depression in the US. State-level deposit insurance funds went bankrupt because of lack of geographic diversification and size, intensifying the banking crisis. One of the first actions of the then incoming President Franklin Roosevelt was the establishment of a deposit insurance system at the federal level, the Federal Deposit Insurance Corporation (FDIC), as part of the New Deal legislation in 1933 (Golembe 1960). Moving to the banks, it is important to contain the impact of the failure of one or more bank(s) with subsequent deposit insurance payouts on the remaining banks. Such payouts can weaken the banking sector, as banks fund the scheme both ex ante and ex post. A large failure with uncertain payouts (the exact losses at the failing bank(s) are not directly known because of fluctuating asset values in times of crises) can set out a negative trust spiral in the case of smaller deposit insurance funds. Finally, the adverse selection and moral hazard aspects of deposit insurance should be addressed to minimise the exposure of the government as fiscal backstop of deposit insurance. To counter adverse selection, weak banks should not be allowed in. Existing banks need to be cleaned by removing, or full provisioning of, non-performing loans. Once banks are in, supervisors should monitor them in the day-to-day supervision. So smaller deposit insurance funds are more vulnerable, as witnessed in the early 1930s in the US and more recently in Europe, while a large fund with a credible fiscal backstop stabilises the banking system (Schoenmaker 2018). Notwithstanding the weakness of smaller funds, several authors (Gros 2015, Benassy-Queré et al. 2018, Schnabel and Véron 2018) propose keeping national compartments in EDIS. The idea of national compartments is to limit cross-border solidarity, because of lack of political support for a full EDIS. It means that the first part of the loss is borne at the national level, including partial clawback (Gros 2015) or ex-post fees (Benassy-Queré et al. 2018, Schnabel and Véron 2018). As banks often fail in times of recession, payouts typically happen when the surviving banks are also not in very strong shape. The surviving banks have to refill the national compartment through future contributions (regular contributions and ex-post contributions). This could destabilise the national banking system, also in comparison with the other banks in the euro area. So, a national compartment may be self-defeating and reduce the stability of the national banking system. A second-round effect may be that the credit function of banks is hampered as they become capital constrained (credit crunch). This has a negative impact on the economy. 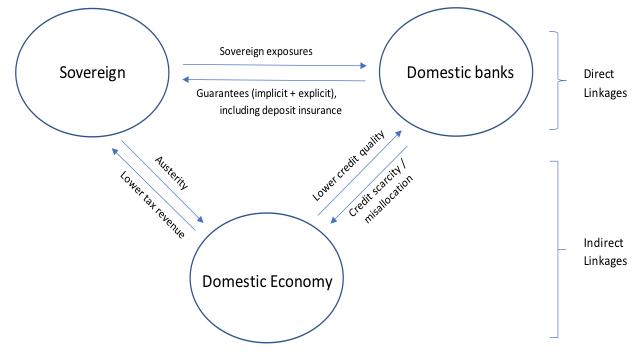 Figure 1 shows the vicious cycle between a national banking system and the domestic economy. Moral hazard can be addressed in several ways. First, concentration limits on banks’ sovereign bond holdings are crucial to reduce the sovereign risk in bank balance sheets (Véron 2017). Second, current efforts of the ECB and European Commission to reduce the share of non-performing loans (NPLs) should be pursued with vigour. Banks should ‘come clean’ before they enter a fully mutualised EDIS. A transition period is instrumental to reducing sovereign concentrations and NPLs, while building up the mutualisation of risks in EDIS. Third, the ECB as central supervisor in the Single Supervisory Mechanism should be tough in its licensing and supervision of banks (ex ante prevention). For future NPLs, the ECB should, for example, lay down tough provisioning rules (with mandatory write down after a few years). A final mechanism to mitigate moral hazard concerns is the introduction of a country component in the risk-based premium for deposit insurance, as proposed by Benassy-Queré et al. (2018) and Schnabel and Véron (2018). If a country has weak banking policies – such as weak creditor rights, lengthy insolvency procedures, lax provisioning policies, or permissive housing finance – the country risk premium can be higher for that country (providing an incentive to improve banking policies and phase out differences). The risk-based premium would then have a bank-specific risk component and a country-specific risk component. Importantly, the risk premium should be set by the integrated Single Resolution and Deposit Insurance Board, outside the political arena. EDIS should become an integral part of a completed Banking Union. Figure 2 provides a schematic view of such a completed Banking Union. In earlier work (Sapir and Schoenmaker 2017), my co-author and I propose that the ECB should become the lender of last resort providing ELA and the European Stability Mechanism (ESM) should become a European Monetary Fund (EMF), providing a credit line to the new Single Resolution and Deposit Insurance Fund when needed (in addition to its main task of backstopping countries in need). Note: The framework illustrates the five stages from rulemaking to the fiscal backstop. The bottom line shows the agency for each function. Here, we elaborate on the idea to integrate the Single Resolution Board (SRB) and EDIS into a Single Resolution and Deposit Insurance Board (SRDIB). Moreover, we also recommend to integrating the two funds – the Single Resolution Fund (SRF) and the European Deposit Insurance Fund (EDIF) – into a Single Resolution and Deposit Insurance Fund (SRDIF) in line with our earlier proposal (Gros and Schoenmaker 2014). A first advantage is that we simplify crisis management. There are currently too many players, which makes crisis management more difficult. Experienced crisis managers know that crisis management complexity increases quadratically with the number of players and the speed of action slows down accordingly. The SRDIB could apply the least-cost principle, which requires the resolution authority to choose the resolution method in which the total amount of the expenditures and (contingent) liabilities incurred has the lowest cost to the resolution and deposit insurance fund (Gros and Schoenmaker 2014). A second advantage is that an integrated fund fully exploits the pooling potential of insurance. Not only national funds, but also resolution and deposit insurance funds are pooled into one fund. After a transition period, we should have a proper functioning Banking Union with a fully funded Single Resolution and Deposit Insurance Fund. We propose a 2% target fund ratio for the joint fund of SRDIF, similar to the FDIC. The current target fund ratios are 1% for SRF and 1.5% for EDIF (see Table 1). Note: Covered deposits of the Eurozone banks amount € 5,456.6 billion at end-2017. The figures are for end-2017, except (1) available funds at DIF are for end-2016. Source: Author calculations based on EBA (2017) and SRB (2017). We need to address moral hazard concerns arising from European deposit insurance. These justified concerns can be alleviated through a country-specific component in the risk-based premium for deposit insurance and limits on sovereign bond exposures on bank balance sheets. But proposals to maintain national compartments in a new European Deposit Insurance Scheme are self-defeating, as such compartments can be destabilising in times of crisis. Authors’ note: This column is a shorter version of a Policy Brief published by LUISS Guido Carli University. The author would like to thank Michel Heijdra and Nicolas Véron for useful comments on an earlier draft. Diamond, D and P Dybvig (1983), “Bank Runs, Deposit Insurance, and Liquidity”, Journal of Political Economy 91(3): 401-419. European Banking Authority (2017), “Deposit Guarantee Schemes data – 2015-2016 figures”, London. Golembe, C H (1960), “The Deposit Insurance Legislation of 1933”, Political Science Quarterly 76: 181-200. Gros, D (2015), “Completing the Banking Union: Deposit Insurance”, Policy Brief No. 335, CEPS, Brussels. Gros, D and D Schoenmaker (2014), “European Deposit Insurance and Resolution in the Banking Union”, Journal of Common Market Studies 52(3): 529-546. Sapir, A and D Schoenmaker (2017), “The time is right for a European Monetary Fund”, Policy Brief 2017/04, Bruegel. Schnabel, I and N Véron (2018), “Breaking the Stalemate on European Deposit Insurance”, Bruegel Blog Post, 5 March. Schoenmaker, D (2013), Governance of International Banking: The Financial Trilemma, Oxford University Press. Schoenmaker, D (2018), “Resolution of International Banks: Can Smaller Countries Cope?”, International Finance 21(1), forthcoming. Schoenmaker, D and N Véron (2016), European Banking Supervision: The First Eighteen Months, Blueprint 25, Bruegel. Single Resolution Board (2017), “Statistical Overview of the funds collected: SRF Contributions 2017”, Brussels. Véron, N (2017), “Sovereign Concentration Charges: A New Regime for Banks’ Sovereign Exposures”, Study for the European Parliament, Brussels.